VIBES ALIVE 003 – Special Guest TINO! TINO will be joining us on Saturday 16th Feb! After a massive 2018 with shows on Rinse FM & BBC 1xtra, as well as playing at some of the biggest Festivals around Europe, 2019 is looking to be a massive year for Tino! Every Saturday we’re bringing you Warehouse Vibes, Student Drinks Prices & Dutty Riddims! 2 Rooms of Music – Bass Vibes & Hip Hop Jams. £1 Spirits + more offers! E-Tickets come with a free drink. 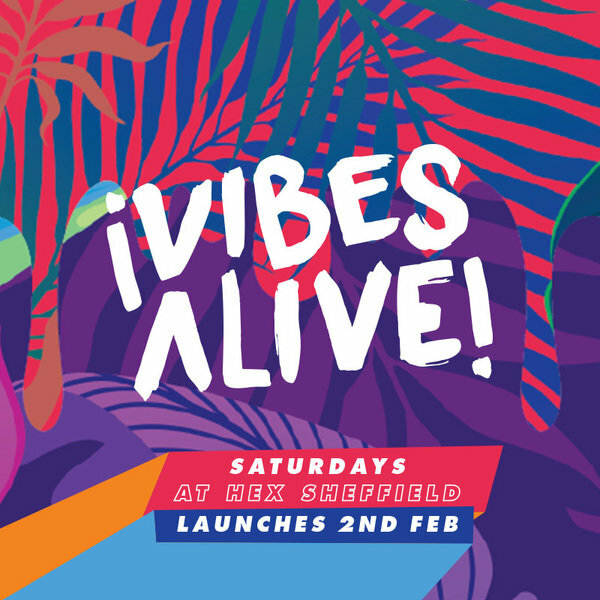 Vibes Alive at Sheffield's newest venue HEX (Queens Road) every Saturday! ♫ ROOM 1: BASEMENT ♫ Bass, House, Grime, UKG, UK Funky & DnB! DJ's Cheese On Bread / Poggerz DJs / The Leng / DnB Society DJs / Rave & Raise Residents + Special Guests TBA. ♫ ROOM 2: THE LOUNGE ♫ Hip Hop Jams! DJ's Super K / True Fiction + Guests.